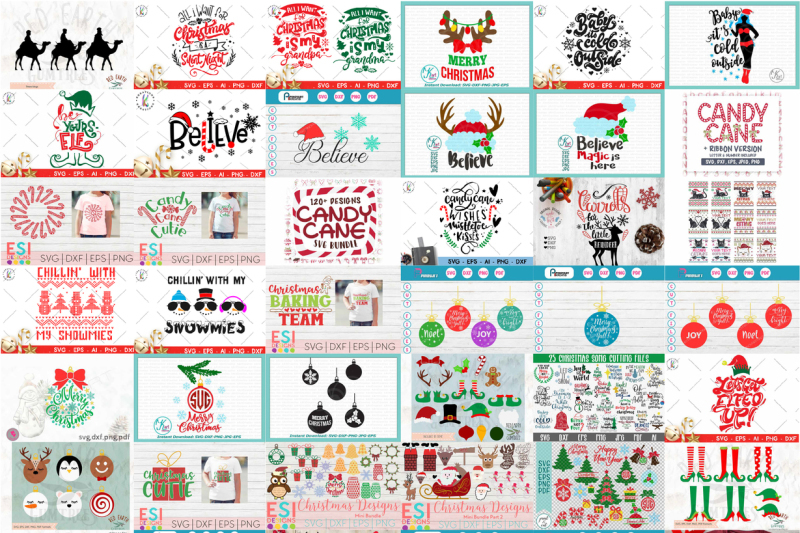 The Crafty Christmas bundle is here and it is HUGE! It’s by far the biggest craft bundle we ever had, and it comes with one of the most comprehensive Christmas craft collections out there. With this bundle you get over 1,000 SVG files, from a total of 210 packs! Among the designs you will find a ton of cute messages, Santas, reindeers, snowflakes, snowmen, and pretty much anything Christmas-related!